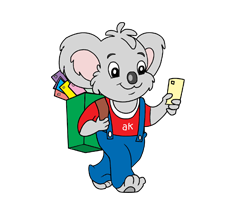 What makes Aerokids play school so special? A high quality, standardized day wise preschool curriculum, which is flexible enough to be successfully administered to all states of India. The curriculum also gives a clear timetable in terms of what needs to be done throughout the year in terms of activities and themes. The success of the preschool curriculum will be in its implementation. Hence, it is extremely important that the teachers are trained properly to implement the curriculum. Aerokids support places a lot of emphasis on teacher training. The training content is deep and covers numerous areas like - Overall curriculum objectives, methodology, teachers roles and responsibilities, marketing for a school and more. 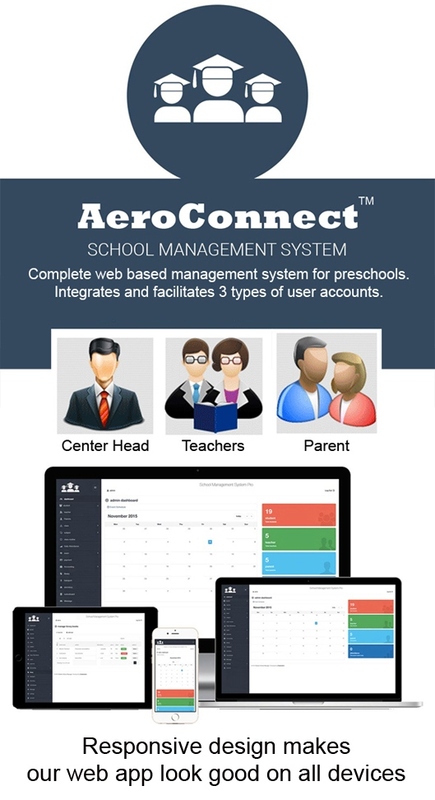 AeroConnect - The school management software from Aerokids is a comprehensive software solution that streamlines your center’s administration, management and record-keeping requirements. Easy to learn and even easier to use, AeroConnect streamlines your day-to-day operations freeing you up to spend less time in the office and more time with the children. Student absent notifications to parents via SMS. Customizable SMS/Email templates for 1 to 1 communications between teachers and parents e.g. child health, performance, progress, special attention, special events, holiday, late pickup, Payment and allergy alerts/notifications. Automatic payment due remainder system via SMS/Emails. Photos & Videos sharing. AeroConnect makes it easy for centers to capture photos and share these photos with parents. Class routine management e.g Time Table, Staff scheduling, Health program, outdoor activities, picnics and games!